We are a leading Exporter of work trouser, worker shirt, garment readymade pant and readymade pant from Kolkata, India. 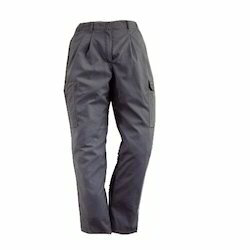 We are engaged in manufacturing, supplying and exporting a wide range of Work Trouser. Designed using superior quality fabric, these Work Trousers are known for their adherence with latest trends of the market. Moreover, we offer these pants in different patterns, colors and sizes that can be customized as per the requirements of our clients. 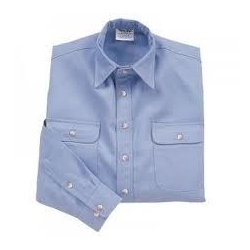 With the help of our expert designers, we have been able to offer a wide range of Worker Shirt. These Industrial Worker Shirts are designed as per the latest industrial trends using superior quality cotton/PC/FR, which is procured from the reliable vendors of the market. Moreover, the shirts offered by us are available in multiple colors, designs and sizes that help in meeting the diverse requirements of our clients. 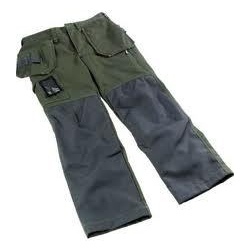 Our expertise also lies in offering a wide range of Garment Readymade Pant. These Industrial Readymade Pants are designed using superior quality cotton as per the prevailing market trend. The trousers offered by us weigh between 210 g - 270 g and can be availed from small to extra large sizes. Moreover, we offer these trousers in different colors that can be customized according to specifications provided by the clients. Our expertise also lies in offering a wide range of Readymade Pant. These Industrial Readymade Pants are designed using superior quality cotton as per the prevailing market trend. The trousers offered by us weigh between 210 g - 270 g and can be availed from small to extra large sizes. Moreover, we offer these trousers in different colors that can be customized according to specifications provided by the clients. Looking for Work Shirts & Trousers ?